Silvermeadow, the glossy, huge new shopping mall on the outskirts of London, is not what it seems. A young woman is found dead, wrapped in plastic, apparently crushed in the rubbish compactor; the most vicious bank robber wanted in England has just been seen there; and a homeless boy has also been discovered dead in bizarre circumstances. Dark secrets are being hidden in the depths of the super-mall. And for DCI David Brock and DS Kathy Kolla of Scotland Yard, there are too many dead ends in their most frustrating and dangerous investigation yet. 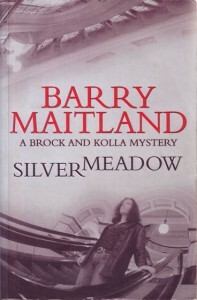 As a procedural, Silvermeadow is first-rate; as a crime thriller it is compelling; and as a reflection of contemporary life it is fascinating.